You know this thing about Wedding Games? Here we are with a new category named wedding games where you`ll be part of the most beautiful weddings ever where the protagonist will be some characters from Disney, Cartoon Network and Nickelodeon. You will have a lot of games from where to choose what you want to play like wedding dress up games, where you will have to dress up the bride with the perfect dress and also you will have to choose her shoes and accessories which have to match with the dress. In Wedding Games you can find 199 games that we've published for these kids and childrens that are interested to play Wedding Games, this game gategory have been created on 07.12.2015. These games with Wedding Games have been voted 1 times and the avarage of vote is 5.00 stars. 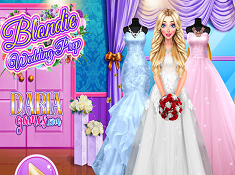 We advice you to play the last flash game from Wedding Games, Blonde Princess Wedding Style that have been published on 24.09.2018 09:00. 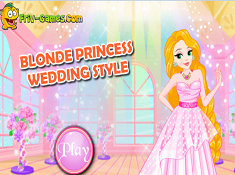 Blonde Princess Wedding Style its a part of Rapunzel Games category and until now its played 2815 times. Try it now on Cute-Games.com! 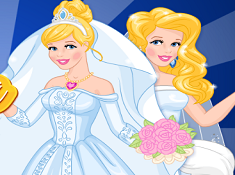 If your like the Blonde Princess Wedding Style game you can write a comment in the game page. Recommend this game to your friends if you like it! Daisy Bride Dress its a part of Girl Games category and until now its played 370 times. Try it now on Cute-Games.com! If your like the Daisy Bride Dress game you can write a comment in the game page. Recommend this game to your friends if you like it! Moana Bridal Salon its a part of Princess Games category and until now its played 525 times. Try it now on Cute-Games.com! If your like the Moana Bridal Salon game you can write a comment in the game page. Recommend this game to your friends if you like it! Princess Style Vlog OMG Wedding its a part of Princess Games category and until now its played 463 times. Try it now on Cute-Games.com! 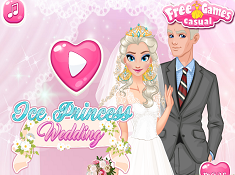 If your like the Princess Style Vlog OMG Wedding game you can write a comment in the game page. Recommend this game to your friends if you like it! Princess Boho Wedding Rivals its a part of Princess Games category and until now its played 582 times. Try it now on Cute-Games.com! If your like the Princess Boho Wedding Rivals game you can write a comment in the game page. Recommend this game to your friends if you like it! Katie Wedding Day its a part of Wedding Games category and until now its played 445 times. Try it now on Cute-Games.com! If your like the Katie Wedding Day game you can write a comment in the game page. Recommend this game to your friends if you like it! Now and Then Cinderella Wedding its a part of Cinderella Games category and until now its played 548 times. Try it now on Cute-Games.com! 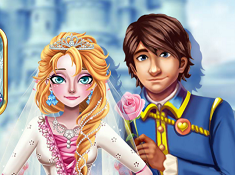 If your like the Now and Then Cinderella Wedding game you can write a comment in the game page. Recommend this game to your friends if you like it! Three Bridesmaids for Princess its a part of Princess Games category and until now its played 696 times. Try it now on Cute-Games.com! 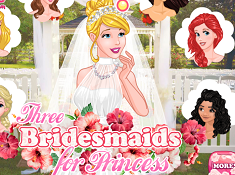 If your like the Three Bridesmaids for Princess game you can write a comment in the game page. Recommend this game to your friends if you like it! 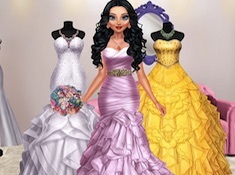 Diva Wedding Dress Up its a part of Girl Games category and until now its played 474 times. Try it now on Cute-Games.com! 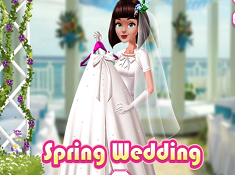 If your like the Diva Wedding Dress Up game you can write a comment in the game page. Recommend this game to your friends if you like it! Princess Bridesmaid Rivals its a part of Princess Games category and until now its played 537 times. Try it now on Cute-Games.com! If your like the Princess Bridesmaid Rivals game you can write a comment in the game page. Recommend this game to your friends if you like it! 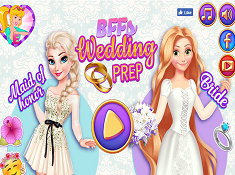 BFFs Wedding Prep its a part of Rapunzel Games category and until now its played 652 times. Try it now on Cute-Games.com! If your like the BFFs Wedding Prep game you can write a comment in the game page. Recommend this game to your friends if you like it! Angela Summer Wedding its a part of Talking Friends games category and until now its played 552 times. Try it now on Cute-Games.com! If your like the Angela Summer Wedding game you can write a comment in the game page. Recommend this game to your friends if you like it! 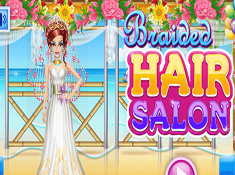 Braided Hair Salon its a part of Girl Games category and until now its played 463 times. Try it now on Cute-Games.com! If your like the Braided Hair Salon game you can write a comment in the game page. Recommend this game to your friends if you like it! 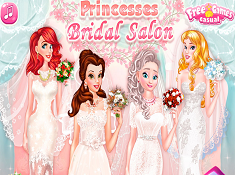 Princess Bridal Salon its a part of Princess Games category and until now its played 649 times. Try it now on Cute-Games.com! 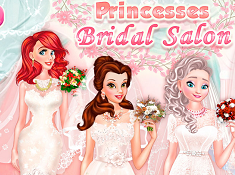 If your like the Princess Bridal Salon game you can write a comment in the game page. Recommend this game to your friends if you like it! 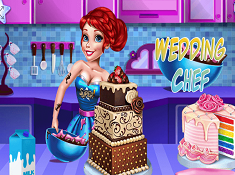 Wedding Chef its a part of Girl Games category and until now its played 447 times. Try it now on Cute-Games.com! If your like the Wedding Chef game you can write a comment in the game page. Recommend this game to your friends if you like it! 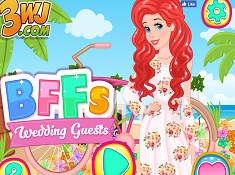 BFFs Wedding Guests its a part of Ariel Games category and until now its played 556 times. Try it now on Cute-Games.com! If your like the BFFs Wedding Guests game you can write a comment in the game page. Recommend this game to your friends if you like it! 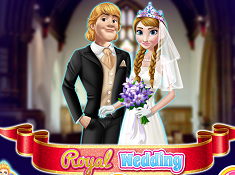 Royal Wedding Ceremony its a part of Frozen Games category and until now its played 720 times. Try it now on Cute-Games.com! If your like the Royal Wedding Ceremony game you can write a comment in the game page. Recommend this game to your friends if you like it! 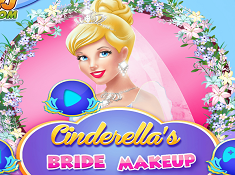 Cinderellas Bride Makeup its a part of Cinderella Games category and until now its played 722 times. Try it now on Cute-Games.com! If your like the Cinderellas Bride Makeup game you can write a comment in the game page. Recommend this game to your friends if you like it! 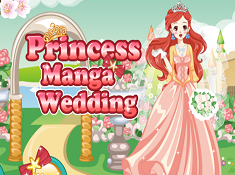 Princess Manga Wedding its a part of Ariel Games category and until now its played 620 times. Try it now on Cute-Games.com! If your like the Princess Manga Wedding game you can write a comment in the game page. Recommend this game to your friends if you like it! Princess Unique Wedding Planner its a part of Princess Games category and until now its played 643 times. Try it now on Cute-Games.com! If your like the Princess Unique Wedding Planner game you can write a comment in the game page. Recommend this game to your friends if you like it! 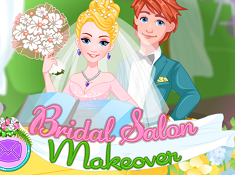 Bridal Salon Makeover its a part of Girl Games category and until now its played 571 times. Try it now on Cute-Games.com! 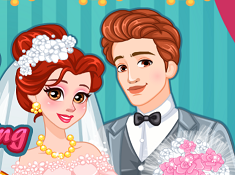 If your like the Bridal Salon Makeover game you can write a comment in the game page. Recommend this game to your friends if you like it! Rapunzel Perfect Wedding its a part of Rapunzel Games category and until now its played 751 times. Try it now on Cute-Games.com! If your like the Rapunzel Perfect Wedding game you can write a comment in the game page. Recommend this game to your friends if you like it! Cinderella Wedding Classic or Unusual its a part of Cinderella Games category and until now its played 740 times. Try it now on Cute-Games.com! If your like the Cinderella Wedding Classic or Unusual game you can write a comment in the game page. Recommend this game to your friends if you like it! Wedding Shopping With Bridesmaids its a part of Princess Games category and until now its played 627 times. Try it now on Cute-Games.com! If your like the Wedding Shopping With Bridesmaids game you can write a comment in the game page. Recommend this game to your friends if you like it! White Kittens Bride Contest its a part of Talking Friends games category and until now its played 645 times. Try it now on Cute-Games.com! 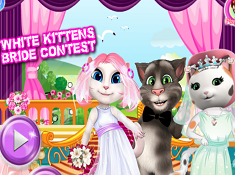 If your like the White Kittens Bride Contest game you can write a comment in the game page. Recommend this game to your friends if you like it! 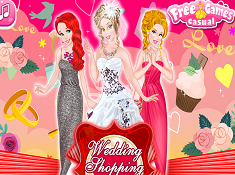 Bride Wedding Dresses its a part of Girl Games category and until now its played 445 times. Try it now on Cute-Games.com! If your like the Bride Wedding Dresses game you can write a comment in the game page. Recommend this game to your friends if you like it! Ice Princess Bridal Makeover its a part of Frozen Games category and until now its played 575 times. Try it now on Cute-Games.com! 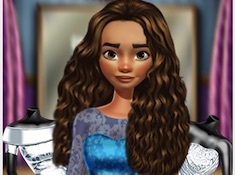 If your like the Ice Princess Bridal Makeover game you can write a comment in the game page. Recommend this game to your friends if you like it! 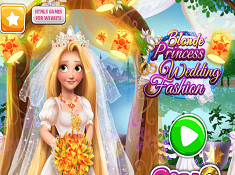 Blonde Princess Wedding Fashion its a part of Rapunzel Games category and until now its played 681 times. Try it now on Cute-Games.com! 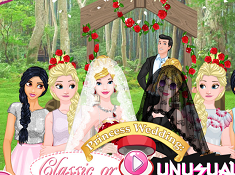 If your like the Blonde Princess Wedding Fashion game you can write a comment in the game page. Recommend this game to your friends if you like it! Super Barbie Bride its a part of Barbie Games category and until now its played 562 times. Try it now on Cute-Games.com! If your like the Super Barbie Bride game you can write a comment in the game page. Recommend this game to your friends if you like it! Marry Me Kitty its a part of Talking Friends games category and until now its played 658 times. Try it now on Cute-Games.com! 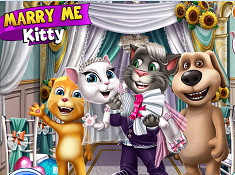 If your like the Marry Me Kitty game you can write a comment in the game page. Recommend this game to your friends if you like it! 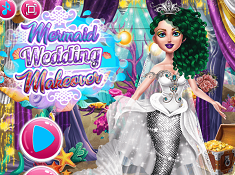 Mermaid Wedding Makeover its a part of Girl Games category and until now its played 521 times. Try it now on Cute-Games.com! 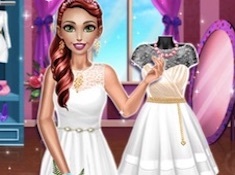 If your like the Mermaid Wedding Makeover game you can write a comment in the game page. Recommend this game to your friends if you like it! Spring Wedding its a part of Girl Games category and until now its played 586 times. Try it now on Cute-Games.com! If your like the Spring Wedding game you can write a comment in the game page. Recommend this game to your friends if you like it! 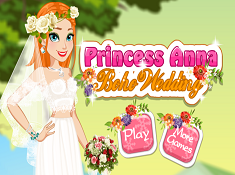 Princess Anna Boho Wedding its a part of Frozen Games category and until now its played 681 times. Try it now on Cute-Games.com! 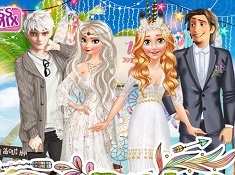 If your like the Princess Anna Boho Wedding game you can write a comment in the game page. Recommend this game to your friends if you like it! 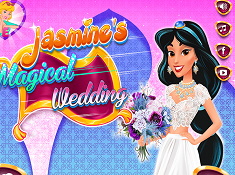 Jasmines Magical Wedding its a part of Jasmine Games category and until now its played 639 times. Try it now on Cute-Games.com! If your like the Jasmines Magical Wedding game you can write a comment in the game page. Recommend this game to your friends if you like it! Princesses Bridesmaids Party its a part of Princess Games category and until now its played 702 times. Try it now on Cute-Games.com! If your like the Princesses Bridesmaids Party game you can write a comment in the game page. Recommend this game to your friends if you like it! 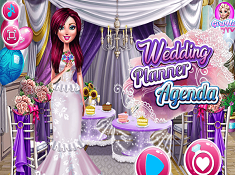 Wedding Planner Agenda its a part of Girl Games category and until now its played 461 times. Try it now on Cute-Games.com! If your like the Wedding Planner Agenda game you can write a comment in the game page. Recommend this game to your friends if you like it! 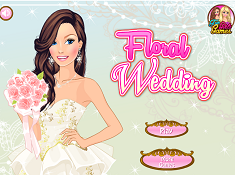 Floral Wedding its a part of Girl Games category and until now its played 443 times. Try it now on Cute-Games.com! If your like the Floral Wedding game you can write a comment in the game page. Recommend this game to your friends if you like it! Elsa Wedding Day Prep its a part of Frozen Games category and until now its played 621 times. Try it now on Cute-Games.com! If your like the Elsa Wedding Day Prep game you can write a comment in the game page. Recommend this game to your friends if you like it! 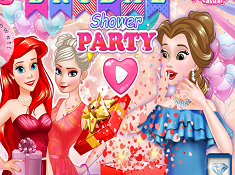 Princesses Bridal Salon its a part of Princess Games category and until now its played 730 times. Try it now on Cute-Games.com! 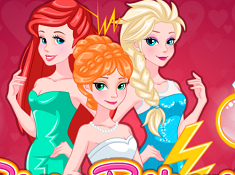 If your like the Princesses Bridal Salon game you can write a comment in the game page. Recommend this game to your friends if you like it! Princess College Campus Wedding its a part of Sleeping Beauty Games category and until now its played 612 times. Try it now on Cute-Games.com! 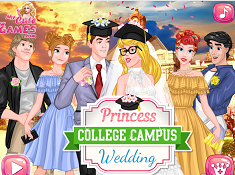 If your like the Princess College Campus Wedding game you can write a comment in the game page. Recommend this game to your friends if you like it! Monster High Wedding Dress Design its a part of Monster High Games category and until now its played 561 times. Try it now on Cute-Games.com! If your like the Monster High Wedding Dress Design game you can write a comment in the game page. Recommend this game to your friends if you like it! Princess Bridal Shower Party its a part of Princess Games category and until now its played 729 times. Try it now on Cute-Games.com! If your like the Princess Bridal Shower Party game you can write a comment in the game page. Recommend this game to your friends if you like it! 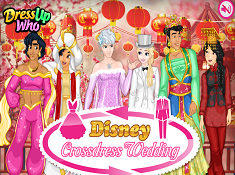 Disney Crossdress Wedding its a part of Princess Games category and until now its played 972 times. Try it now on Cute-Games.com! 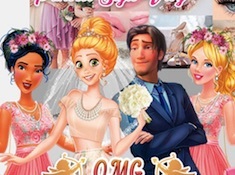 If your like the Disney Crossdress Wedding game you can write a comment in the game page. Recommend this game to your friends if you like it! Blondie Wedding Prep its a part of Barbie Games category and until now its played 648 times. Try it now on Cute-Games.com! If your like the Blondie Wedding Prep game you can write a comment in the game page. Recommend this game to your friends if you like it! Angela Spring Wedding its a part of Talking Friends games category and until now its played 636 times. Try it now on Cute-Games.com! 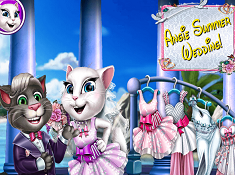 If your like the Angela Spring Wedding game you can write a comment in the game page. Recommend this game to your friends if you like it! 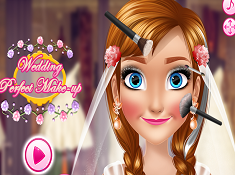 Wedding Perfect Makeup its a part of Frozen Games category and until now its played 539 times. Try it now on Cute-Games.com! If your like the Wedding Perfect Makeup game you can write a comment in the game page. Recommend this game to your friends if you like it! Beauty and the Beast Royal Wedding its a part of Beauty and The Beast Games category and until now its played 697 times. Try it now on Cute-Games.com! If your like the Beauty and the Beast Royal Wedding game you can write a comment in the game page. Recommend this game to your friends if you like it! 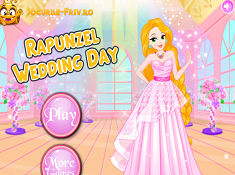 Rapunzel Wedding Day its a part of Rapunzel Games category and until now its played 3626 times. Try it now on Cute-Games.com! If your like the Rapunzel Wedding Day game you can write a comment in the game page. Recommend this game to your friends if you like it! Sery Bride Dolly Makeup its a part of Girl Games category and until now its played 541 times. Try it now on Cute-Games.com! If your like the Sery Bride Dolly Makeup game you can write a comment in the game page. Recommend this game to your friends if you like it! 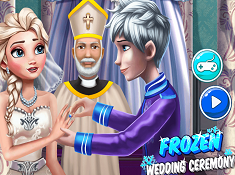 Frozen Wedding Ceremony its a part of Frozen Games category and until now its played 681 times. Try it now on Cute-Games.com! 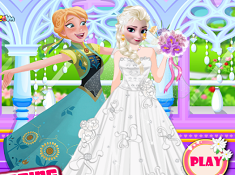 If your like the Frozen Wedding Ceremony game you can write a comment in the game page. Recommend this game to your friends if you like it! Ice Princess Wedding its a part of Frozen Games category and until now its played 798 times. Try it now on Cute-Games.com! 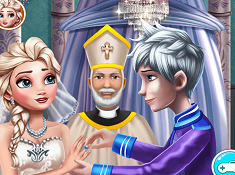 If your like the Ice Princess Wedding game you can write a comment in the game page. Recommend this game to your friends if you like it! 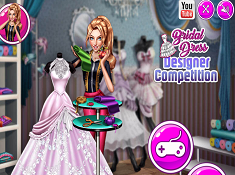 Bridal Dress Designer Competition its a part of Girl Games category and until now its played 556 times. Try it now on Cute-Games.com! If your like the Bridal Dress Designer Competition game you can write a comment in the game page. Recommend this game to your friends if you like it! 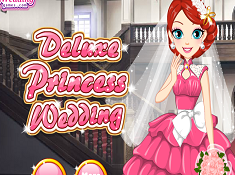 Deluxe Princess Wedding its a part of Ariel Games category and until now its played 557 times. Try it now on Cute-Games.com! If your like the Deluxe Princess Wedding game you can write a comment in the game page. Recommend this game to your friends if you like it! Barbie Winter Wedding its a part of Barbie Games category and until now its played 678 times. Try it now on Cute-Games.com! 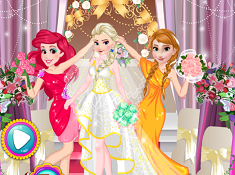 If your like the Barbie Winter Wedding game you can write a comment in the game page. Recommend this game to your friends if you like it! 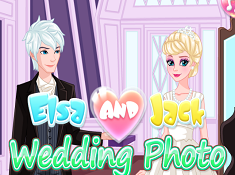 Elsa and Jack Wedding Photo its a part of Frozen Games category and until now its played 508 times. Try it now on Cute-Games.com! If your like the Elsa and Jack Wedding Photo game you can write a comment in the game page. Recommend this game to your friends if you like it! Mermaid Wedding Day Spa its a part of Girl Games category and until now its played 522 times. Try it now on Cute-Games.com! If your like the Mermaid Wedding Day Spa game you can write a comment in the game page. Recommend this game to your friends if you like it! Barbie Perfect Bridesmaid its a part of Barbie Games category and until now its played 582 times. Try it now on Cute-Games.com! If your like the Barbie Perfect Bridesmaid game you can write a comment in the game page. Recommend this game to your friends if you like it! 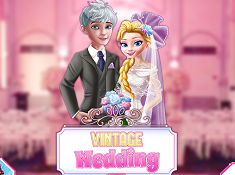 Vintage Wedding its a part of Frozen Games category and until now its played 610 times. Try it now on Cute-Games.com! If your like the Vintage Wedding game you can write a comment in the game page. Recommend this game to your friends if you like it! Royal Wedding its a part of Frozen Games category and until now its played 609 times. Try it now on Cute-Games.com! If your like the Royal Wedding game you can write a comment in the game page. Recommend this game to your friends if you like it! Princesses Bride Competition its a part of Cinderella Games category and until now its played 575 times. Try it now on Cute-Games.com! 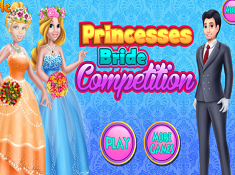 If your like the Princesses Bride Competition game you can write a comment in the game page. Recommend this game to your friends if you like it! Find More About Wedding Games! Other games that you will find here are make up wedding games where you will have to create a special make up for the bride, a make up which makes her look like a princess. Also, you will have to try our decoration wedding games, where you will have to decorate the place where the wedding will be and for that you will have to use a lot of beautiful flowers, balloons and other decorations for wedding. Cooking wedding games are other games that we have here, games in which you will have to make the wedding cake and other special wedding foods. As you can see in this games you will have to be creative and cheerful to can realize fantastic things that will make happy the wedded pair and all the guests which are they to have fun and celebrate together the love of two persons. How beautiful can be to be part of Cinderella`s wedding for example and to help her to have the best day of her life, or how it feels to have the chance to make Barbie`s wedding cake? Now, it`s time to find out how our princesses and other characters are felling on their wedding day playing our new wedding games where you will have a lot of challenges and works to do and you will have to prove that you are able to do all this things. Seems like these games are only for girls, but we may have some wedding games for boys where you will have to wash up the car to can be decorate for the wedding and to be clean because you can`t go to a wedding with a dirty car. Cute-games.com hopes that you will enjoy our new games and also we invite you to try all the wedding games that we have and stay with us for new surprises and challenges. Until then, you can tell us if you want some special games that we haven`t published and we will publish it for you.